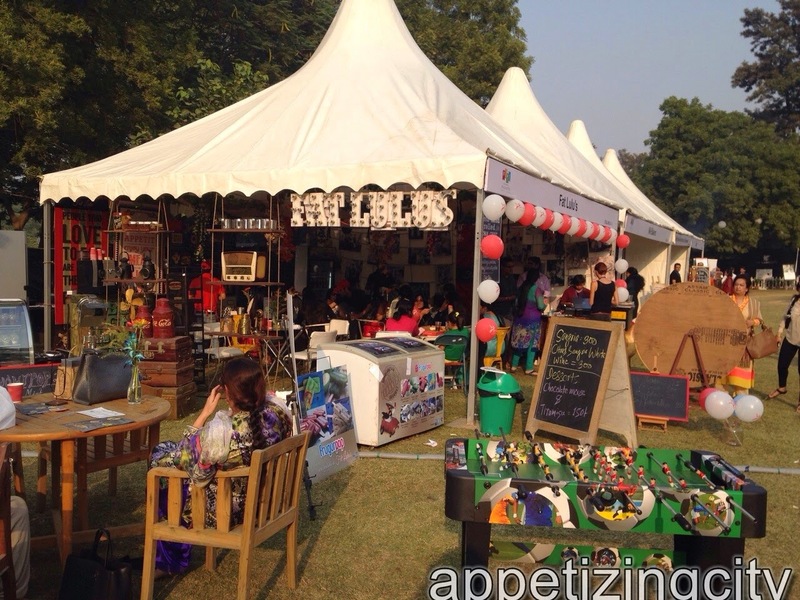 The Show was part fair, part exhibition and an evening out with Delicious sampling by Exhibitors (samples of Tea, Fresh pressed Juices, Biryani and Wasabi Chocolates), Farmer's market, Discount Deals, Book Launches, Fun games / activities, Wine sampling etc. 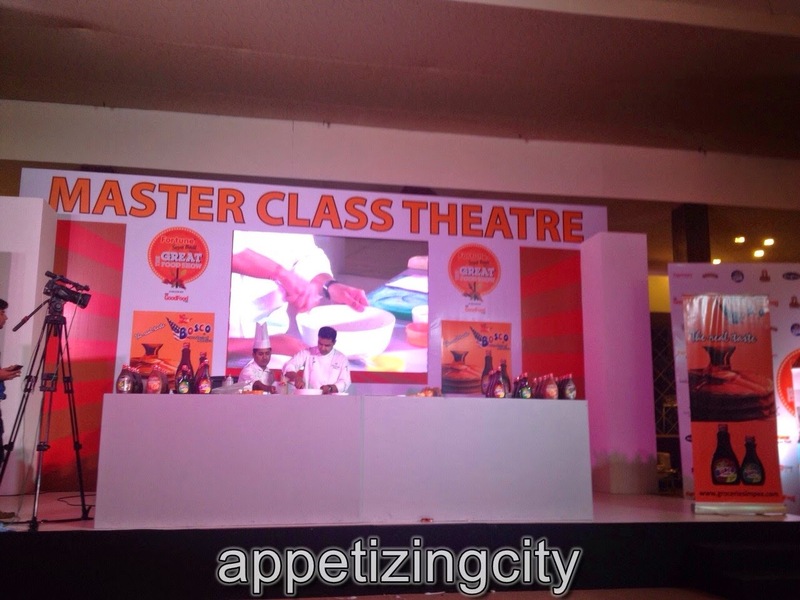 Eighteen master classes were hosted with Celebrity chefs like Kunal Kapur, Ajay Chopra, Vicky Ratnani, Saransh Goila, Sabyasachi Gorai (Saby), Kishi Arora, Nishant Choubey among others. Sona Bahadur, Editor BBC Good Food was also present. I met few Chefs and Sona Bahadur, for the first time. Admist all the conversations of food and more food, tastes and palate it felt honourable, fortunate and lucky being able to connect with the Pioneers of Food & Hospitality industry. Apeksha Jain, Chief Confiturier from The Gourmet Jar. 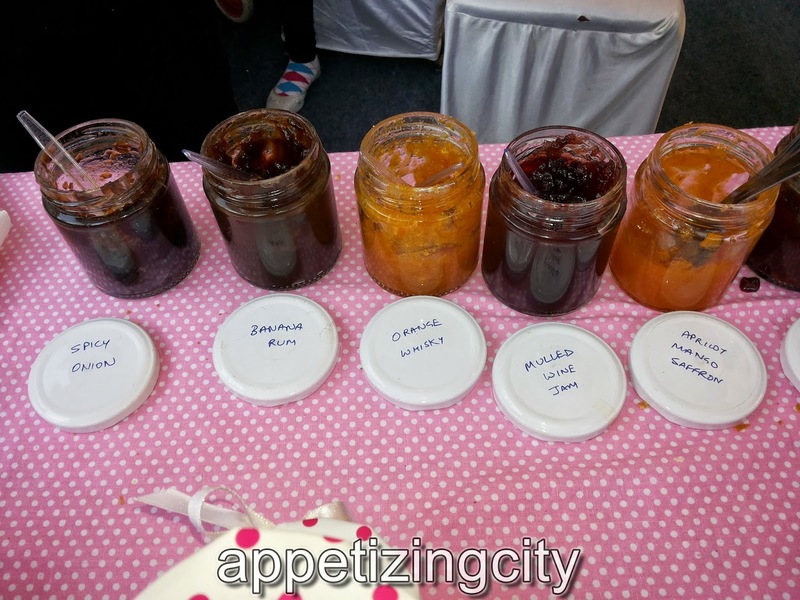 She makes fresh, natural hand- made Jams, Preserves, Marmalades & Spreads in enticing flavours. They were exotic. Chef Kishi Arora, her Company "Foodaholics" caters to all those obsessive food addicts who settle for nothing but the best and the finest culinary experience. She's the master mind behind the scrumptious flavours of Mad Over Donuts. A demonstration of her signature dishes - Fig Newtons & Crispy Apple baskets with date butter. Chef Vikas Vibhuti, he believes human contact is one of the key attributes for a Chef and his style is to work closely with the guests, understand their pulse and create something wondrous to delight them. Young, dynamic, creative, with a spark of innovation with a bold spirit of experimenting. He has trained and worked at several Oberoi hotels. The signature dishes that he demonstrated - Lemon Meringue Pie & Balsamic Strawberry Fritters. I loved the Lemon Meringue pie. 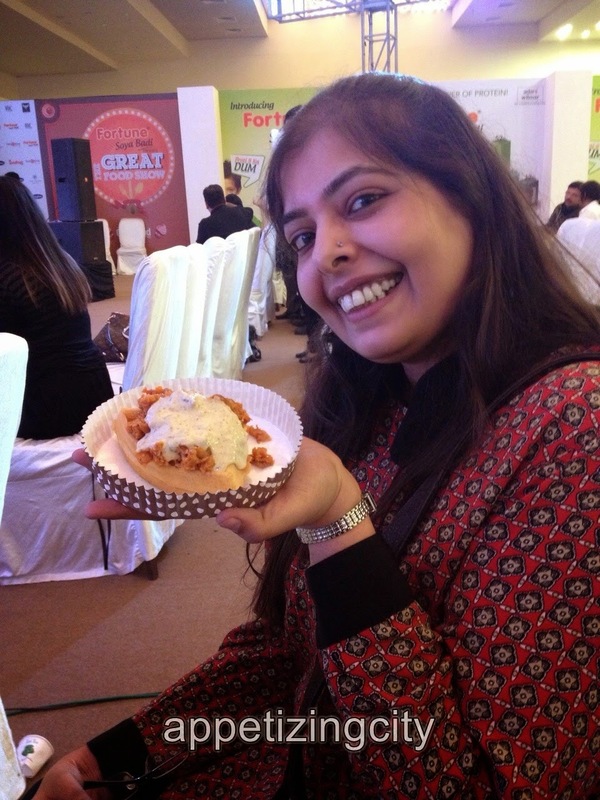 The Soya Keema Waffle, prepared by Chef Saby, was Yum! BBC Good Food has created quite a buzz since it launched a couple years ago. They always come up with fresh ideas that engage the food lovers. Kudos to the efforts of their extremely competent and creative teams!It was a thrilling experience learning from the chefs new recipes. The Palate Fest, on the other hand was like a Picnic. 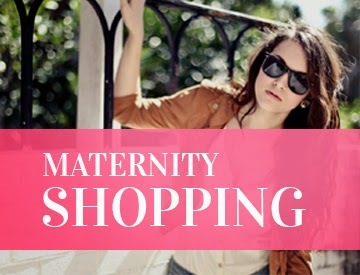 Only you do not hop from one place to the next or navigate a food court. 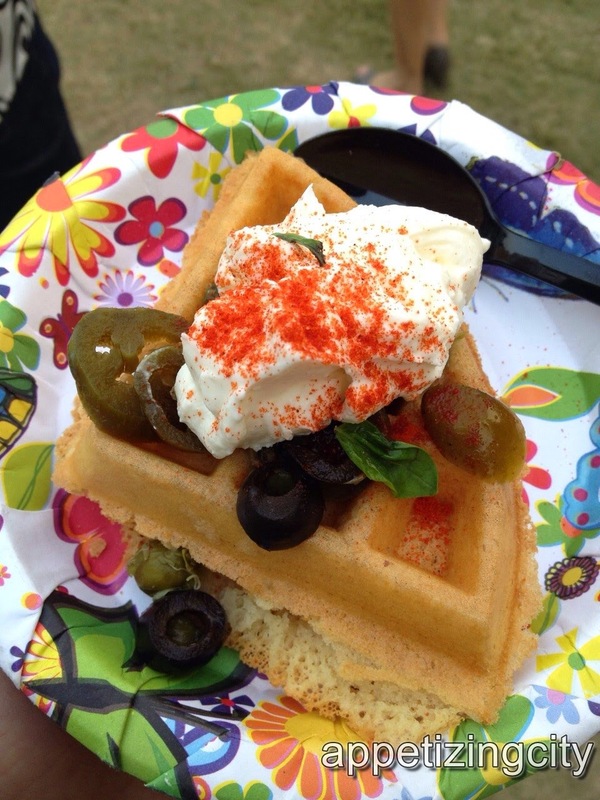 A 3 day affair showcases mind - numbing, jaw dropping selection of Food. 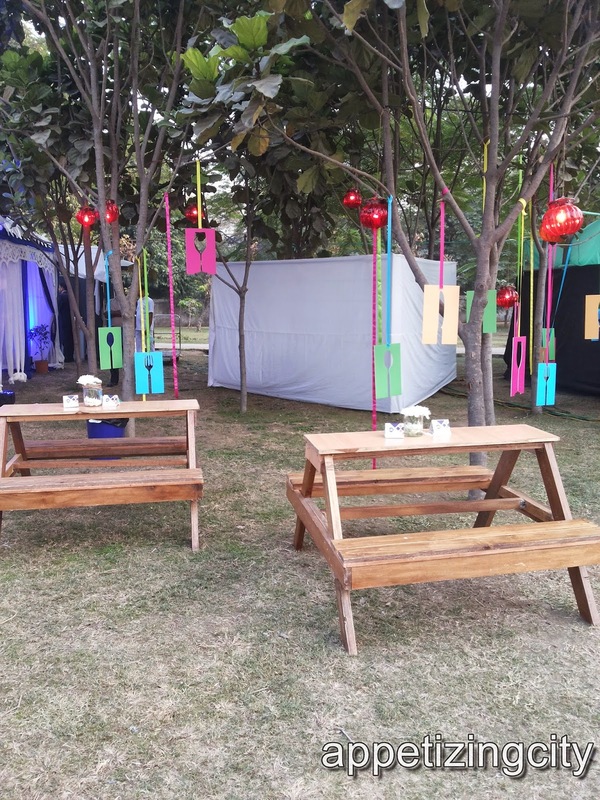 There are 40 restaurant brands, 12 best Chefs, 3 Embassies, 22 solo food business operators, Kids activities, Musicians, Entertainers under one open roof - Nehru Park. The theme of the fest is International. Cantonese, Lebanese, Punjabi, Korean, Japanese, Indian, American, Spanish, Mexican, Turkish, Sri-Lankan, Burmese, Thai are just a few that I mention, are being served. Not to forget the non-vegetarian - there is Chicken, Fish, Pork, Liver Pattice, Duck, Prawns, Oysters, Mutton, Crabs and Lobsters. 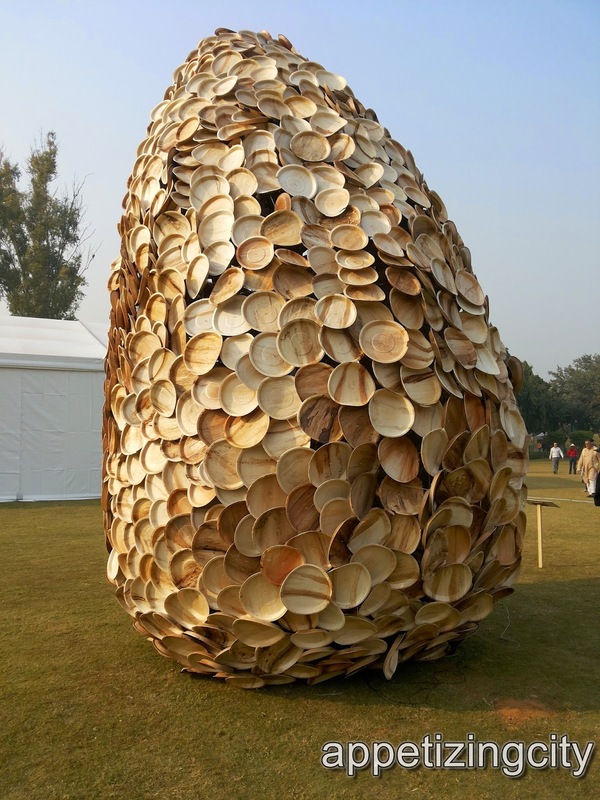 As soon as you enter the Park is a huge 20 feet art installation of plates. Created by a non profit organization "Arts 4 All" its called "The Hungry Plates" and is Beautiful. The fest covers around 25% of the park and is divided in zones for picnic eating, pop up restaurants, kids playing zone, a concert area, market area, wooden benches which is common for all. To name a few of the pop up restaurants - Oberoi Patisserie and Delicatessen, Royal China, The Leela, Farzi Cafe, Hungry Monkey, Punjabi by Nature, Kylin, Fat Lulu's, Akira (JW Marriot), The Hiatus, Guppy, Olive Bar & Kitchen, The Lodi, Nik Bakers, The Taj, TownHall, Armour, Under Doggs Bar & Grill, Kylin, Choko La, The Beer Cafe, Tres, The Park, Habibi were few who were featured. Each of these had a seating area. This is not all. There is alcohol too. Along with the food one can even enjoy a delicate Bruschetta with fresh tomatoes and capers with chilled bottle of beer or a Red Wine Sangria. I have never witnessed such selection of food. There were Cupcakes, Jams, Macroons, Organic Juices, Chicken Sliders, Waffles, Dumplings, Pork chops, Kebabs, Sushi, Truffles, home made Parsi masala, pickles, chutneys and so on..
Oh did I forget the Shawarma stall? Yes, one could even eat a Shawarma, walk a little, come back and eat some more. Because, the whole park was dedicated to just FOOD!! 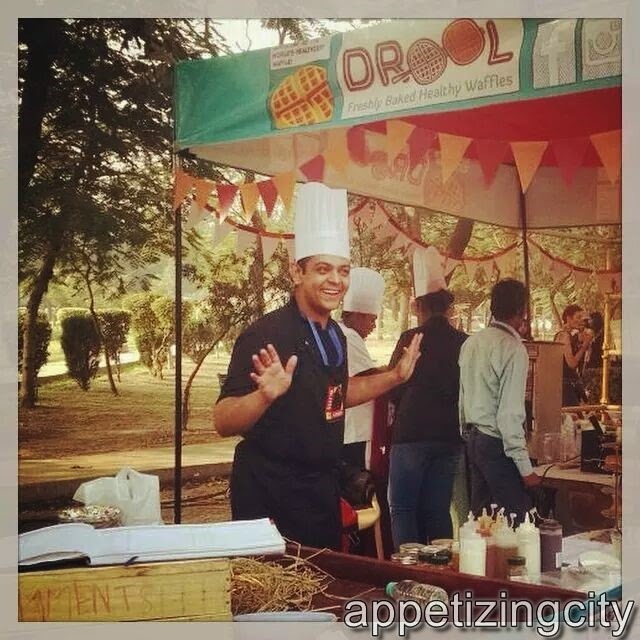 Chef at Drool, overwhelmed by the response! Yes, the waffles were amazing :-) A must try! You have to have Drool Waffles. 100% Vegetarian and an upcoming Brand of Chef Saby's. I could not resist them. Three days and I kept returning to Drool. That is not all, I even had to stand in the long Que to get my waffles. And if only I had a third hand, it would be holding another waffle. So much for the Drooling, mouth watering waffles. "Hats off to you Ms. Urvi for waiting for that long for our drool waffles" were the words from the Team! If the walk at Nehru Park did not leave you feeling healthy, they had you covered. From Glutten free breads, biscuits, pastas to organic juices and freshly pressed juices were available specially for people conscious about weight loss. 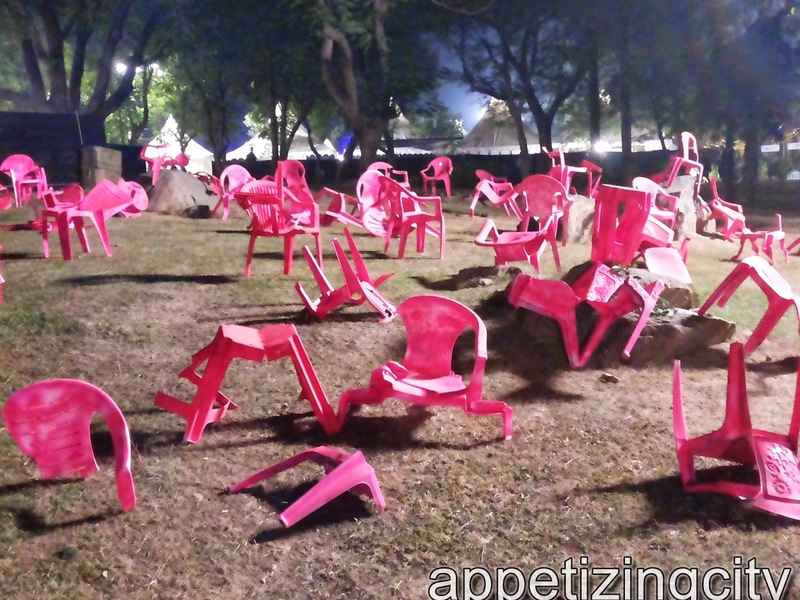 "Pink story" displayed by an artist who twisted and turned chums of plastic chairs to transform them in an expressive political landscape. It tells the pink story of the bureaucratic operations and the positioning of the common man in Politics. Hats off to Ruchi Sibal (Co founder & Director Palate Fest Pvt Ltd) and Aditi Kapoor (Partner) who after visiting London last year thought of bringing the idea to Delhi. 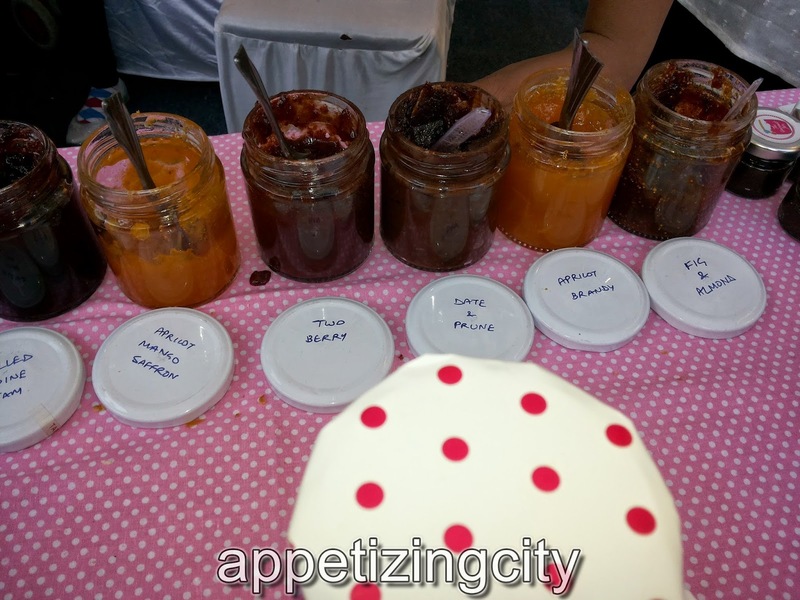 Overall, I enjoyed The Great Food Show and loved The Palate Fest. They have taken Delhi to a whole new culinary level. Food show was more of a bustling market with great deals and book launches whereas Palate Fest was a bunch of food lovers who love what they do and would make you understand what you really need by providing samples to taste before you buy.